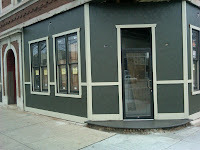 More progress at Burke’s Reviewed by Edgeville Buzz on November 16, 2010 . 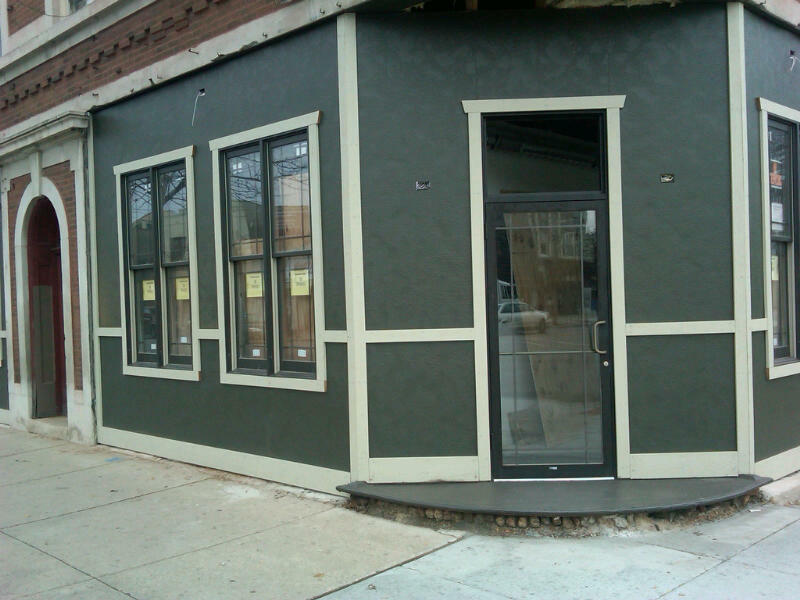 The liquor license application was filed, the inside has been gutted, little paper signs on the windows say “coming soon”…..and now the facade has been spruced up. The paint, trim and new door and windows are a huge improvement. We’re eagerly awaiting the opening of Burke’s Public House at the corner of Balmoral/Broadway, but still have not received an estimated opening date.